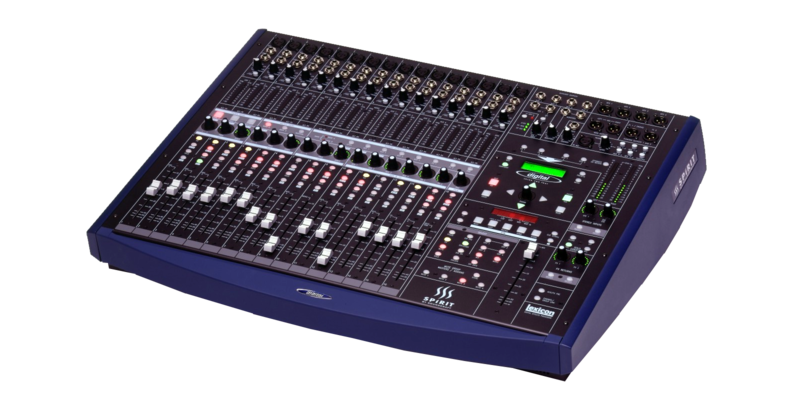 324 Live is a compact digital mixer which addresses the unique requirements of the Live Sound reinforcements engineer. Equally comfortable touring with a small band, installed in a Theatre, or providing vocal reinforcements in a Place of Worship, 324 Live is equipped as standard to handle a wide variety of Sound Reinforcement tasks. Based on the proven technology of the Digital 328 console, 324 Live boasts much of the standard featureset of its powerful Project Studio sibling. However, to reflect the unique requirements of Live Sound mixing, 324 incorporates a number of adaptations and new features designed to assist the Live Sound operator in creating the desired mix with the minimum of fuss. The compact footprint of the console belies the power behind the front panel. With up to 32 inputs plus 2 stereos, 4 Auxiliary sends, 2 internal FX units with dedicated sends and returns, 4 Groups, 4 Matrices, Left/Right and Mono busses, 324 Live delivers exceptional flexibility in a small package.